At the northern end of Whitsunday Island’s pristine Whitehaven Beach, blue-green waters and silvery sands dance in the ever-shifting tides to create captivating swirls that envelope the shoreline. For a hypnotizing view of Hill Inlet, head to the lookout at Tongue Point… or perhaps consider enjoying the unique beauty from the window of a soaring seaplane. 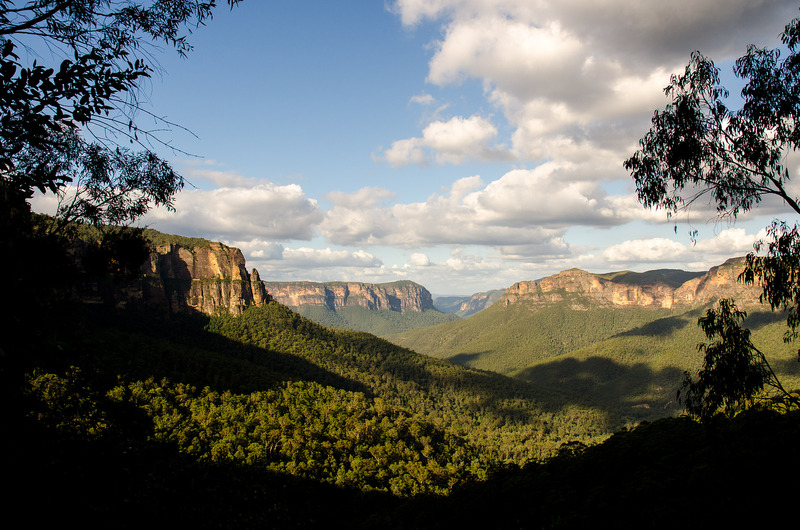 Less than two hours west of Sydney, the Blue Mountains comprise a vast stretch of picturesque plateaus, ridges, and eucalyptus forests. It’s a world heritage wonder where rushing waterfalls tumble from steep escarpments, as a myriad of birdsongs resonate through the blue haze of the lush eucalyptus woodlands. 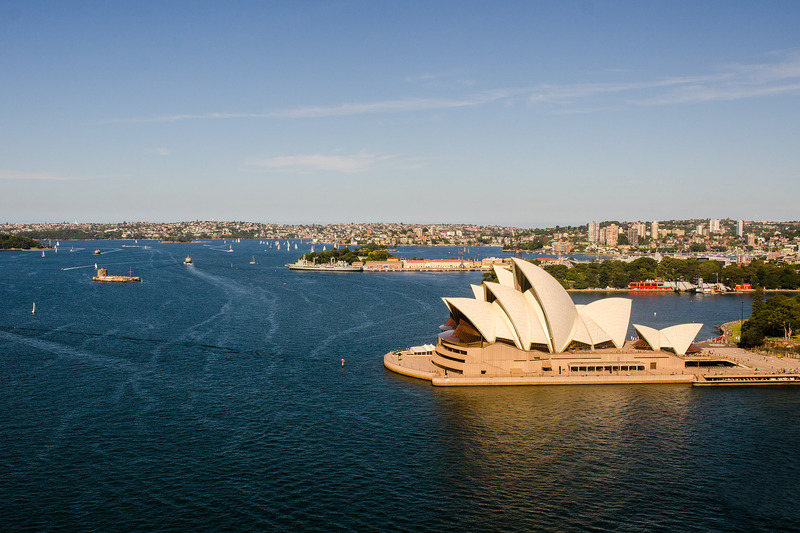 Perhaps one of the most iconic waterways in the world, Sydney Harbour really is a sight to see. Luckily, there are seemingly endless ways to enjoy the photogenic harbour: take a stroll along the greenway from the Sydney Opera House to Mrs. Macquarie’s Chair; check out the view from the nearby Botanic Gardens; meander around ‘The Rocks,’ a historic site sandwiched between Circular Quay and the Sydney Harbour Bridge. If you’re looking for a bird’s-eye view of the harbour, head for the bridge. You can enjoy the sights from the pedestrian walkway across the bridge, head to the top of the southeastern pylon or, if you’re feeling adventurous, climb 134 meters (440 feet) to the bridge’s summit! About 600 km (400 miles) east of Port Macquarie lies a picture-perfect paradise in the middle of the Tasman Sea – Lord Howe Island. While the entire island is indescribably beautiful, Mt. Gower is something special. 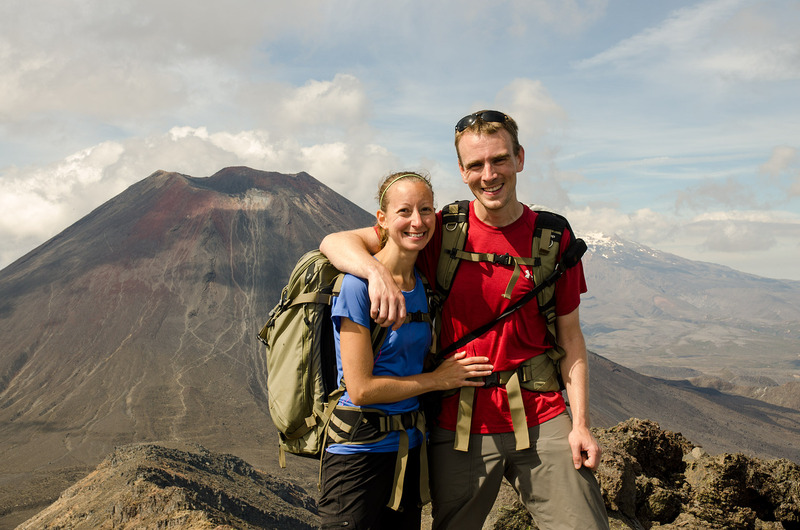 A climb to the top offers staggering panoramas of the crescent-shaped isle, while from the islands shores, the verdant peaks of Mt. Gower & Mt. Lidgbird stand, a commanding pair against the jewel-tone sea. While it may seem out of place with some of the more dramatic backdrops on the list, we thought Tinonee deserved a spot. 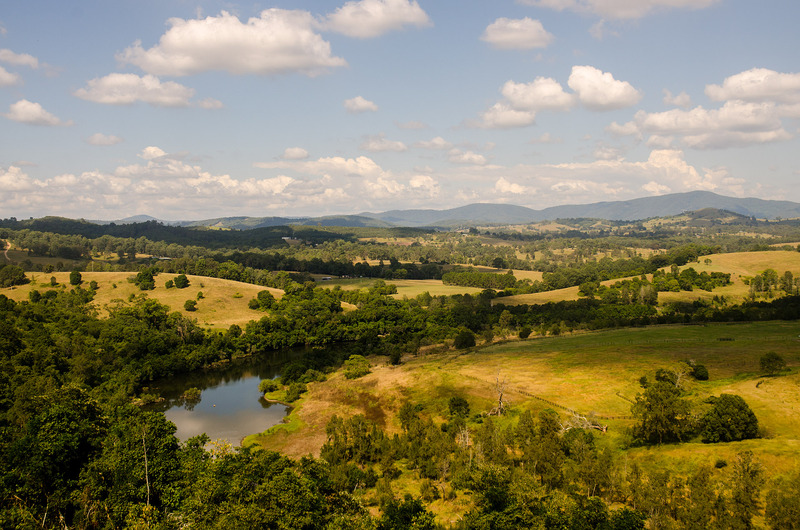 The swath of rolling countryside along the Manning River is isolated, serene, and rich with birdlife. And for us, it was one of those random places you stumble across for an overnight that makes you feel so relaxed that everything else just melts away. Overlooking the Investigator Strait, a channel separating Kangaroo Island from mainland South Australia, the small beach at Stokes Bay is a serene strip of shore, sheltered by a collection of large rock pools. Nearby, the Casuarina (she-oak) forests of Lathami Conservation Park offer nature lovers the chance for a rare glimpse of the endangered South Australian (Kangaroo Island) glossy black-cockatoo. 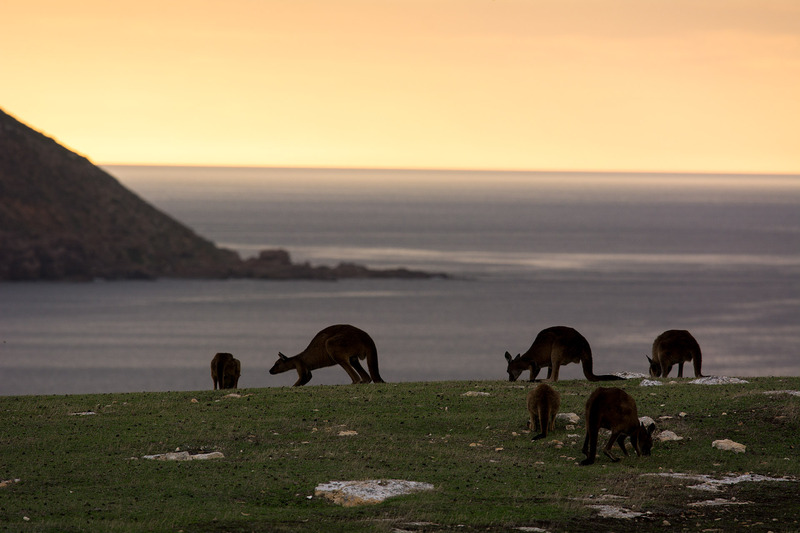 For an unforgettable evening, head up to the cliffs overlooking the bay – at dusk, dozens of kangaroos congregate to graze on the grassy bluffs, their frames silhouetted in the setting sun. 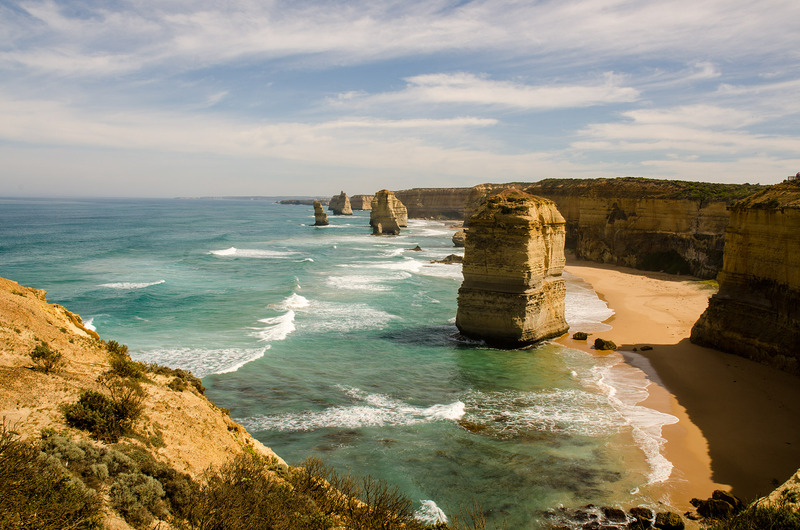 Considered one of the world’s most scenic drives, Australia’s Great Ocean Road boasts some 240 km (150 miles) of captivating coastal landscapes. From the surf beaches of Torquay to the lush forests of Cape Otway to the iconic ‘Twelve Apostles’ – a series of towering, limestone sea stacks – there’s certainly no shortage of spectacular scenery. One of Australia’s many celebrated beaches, the stark white sands and vivid turquoise surf of Wineglass Bay burst abruptly from the rolling verdant hillsides of eastern Tasmania’s Freycinet Peninsula. For a birds-eye view of the striking shoreline, head up the lookout – a short 3-km (2-mile) return trek that climbs the lofty, granite cliffs overlooking the bay. 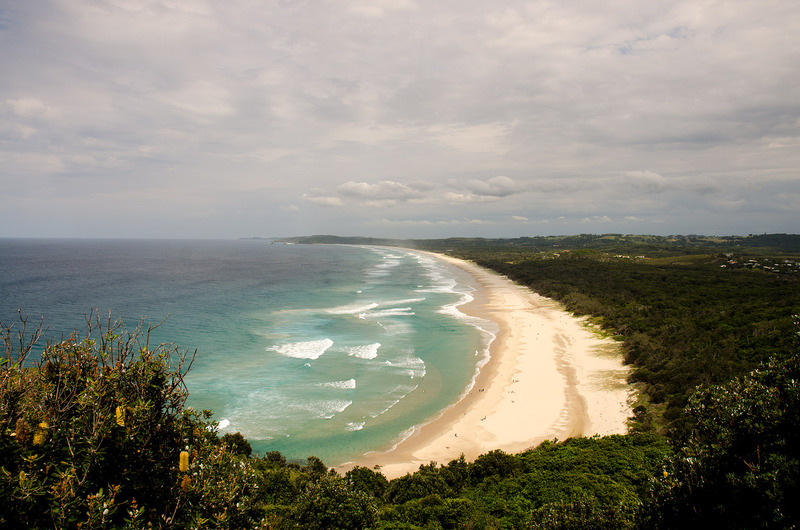 An insanely popular spot along New South Wales’ vast coastline, Byron Bay seems to be the place to go for tourists and locals alike. 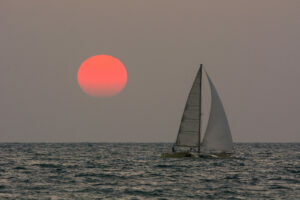 If you’re keen to check out the area, but want to avoid the throngs of beachgoers, head a few kilometers beyond the bay. Cape Byron is mainland Australia’s easternmost point, with a charming white lighthouse perched atop the craggy headland from which you can take in some lovely views of the coast. And for the ultimate retreat, head just a few more kilometers beyond the headland to Tallow Beach – a much more secluded, yet equally beautiful strip of white sand abutting Arakwal National Park. 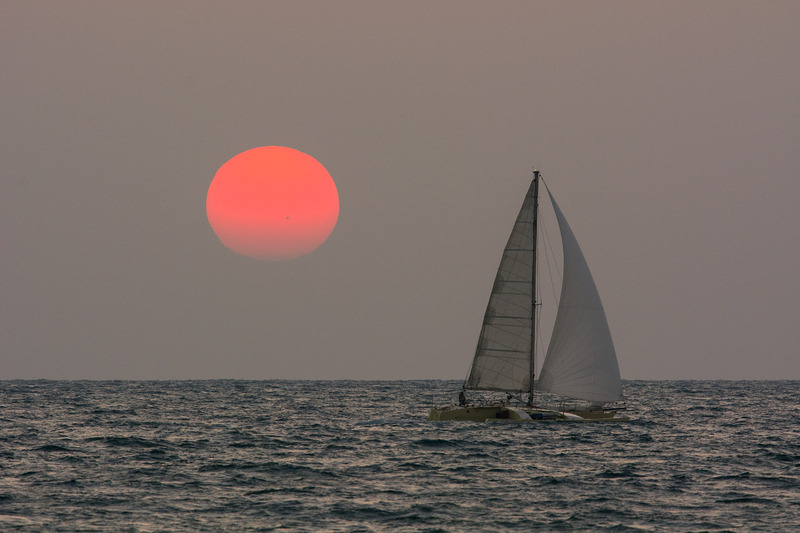 Unquestionably, the most extraordinary views aren’t always on land. Composed of some 3,000 individual reefs and coral cays and spanning roughly 344,400 km2 (133,000 mi2), the Great Barrier Reef is the world’s largest reef system. It’s one of the most impressive and diverse marine ecosystems – home to some 400 species of coral, 1,500 types of fish, 4,000 species of mollusk, and 240 bird species. 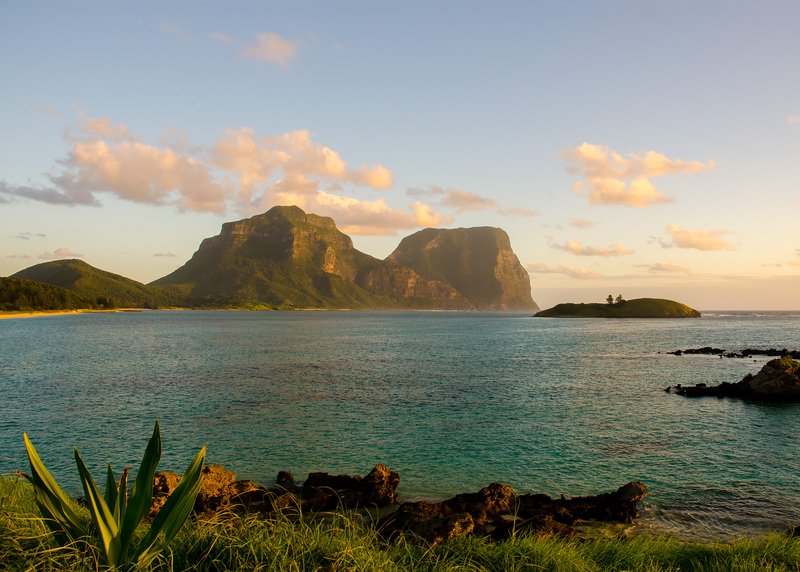 Hundreds of miles further south, Lord Howe Island is home to the world’s southernmost coral reef, which includes a large (6 km long and 1.5 km wide) fringing coral reef lagoon that stretches along the island’s western shores. 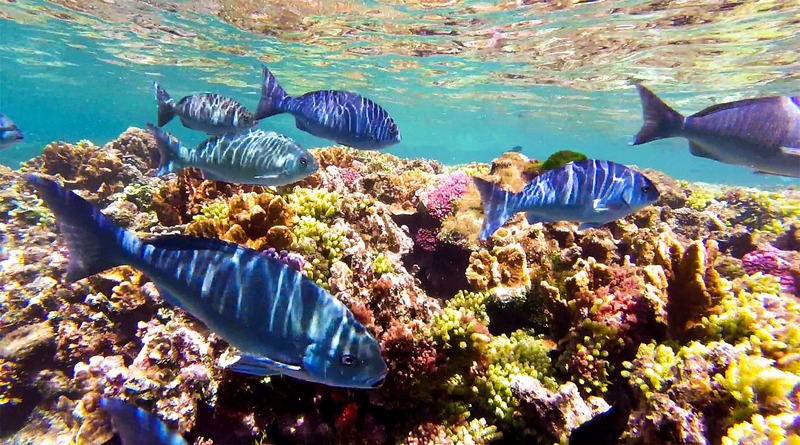 The reef system is unique in that the convergence of five major ocean currents creates a desirable habitat for both tropical and temperate species, including 90 species of coral, 500 types of fish, and a plethora of endemic species found nowhere else in the world. 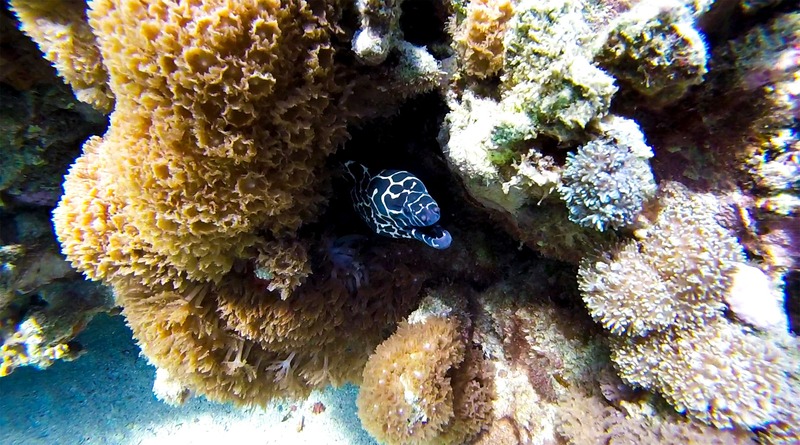 After doing a bit of diving and snorkeling along both reef systems, we were blown away; the underwater views were easily some of our favorites from Australia. And even though we couldn’t adequately capture the mind-boggling undersea beauty with our inferior GoPro (high quality underwater housing for the DSLR is now atop our wish list), here’s a quick video (and a couple of sub-par, still frames) of an amazing Australian view we’d be remiss to leave off the list.